Honorius Augustodunensis. De Imagine Mundi. Nuremberg: [Anton Koberger, 1472?]. Martial. 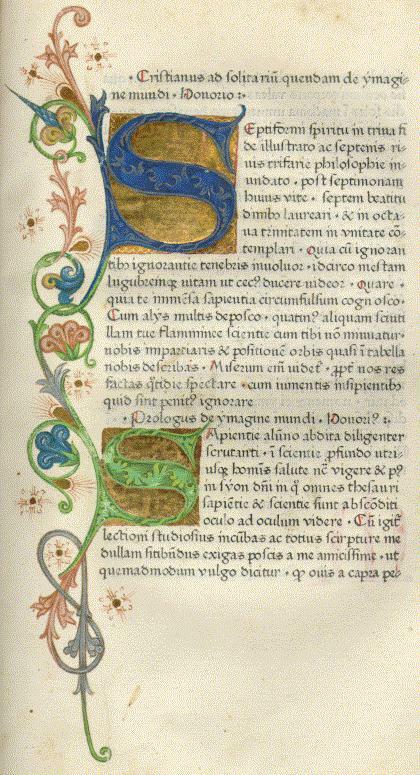 Valerii Martialis Epigrammatum opus in Amphitheatrum Caesaris. 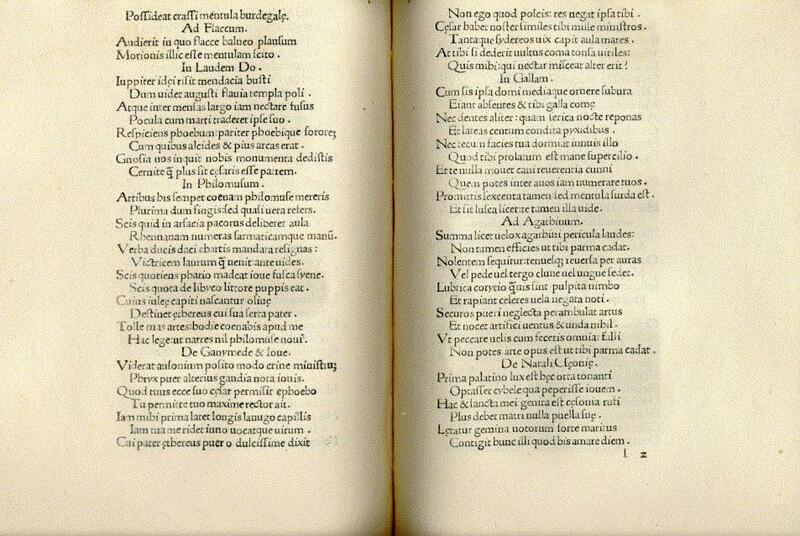 Venice: Johannes de Colonia and Johannes Manthen, 1475. 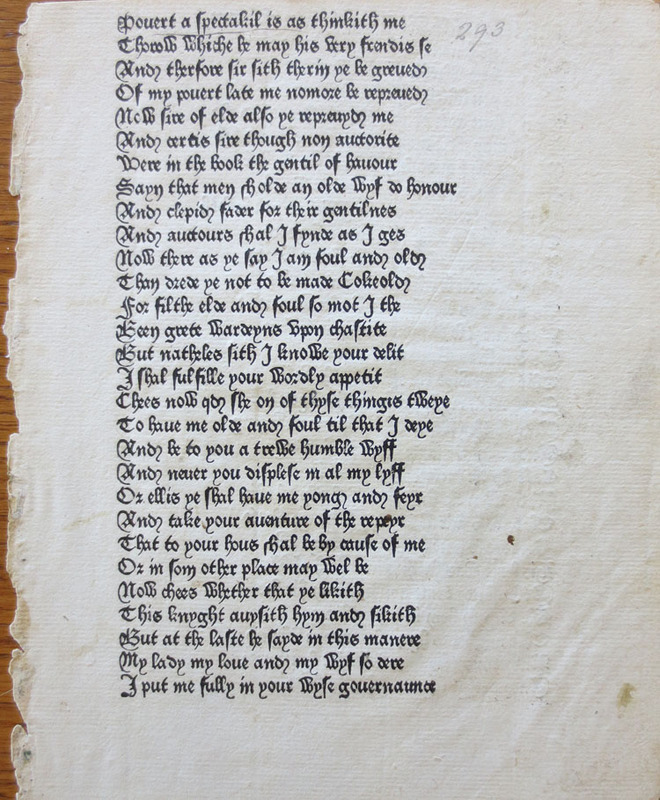 Geoffrey Chaucer, 1340?-1400. 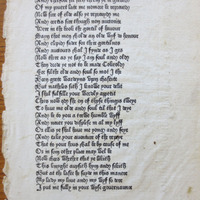 A Leaf from The Canterbury Tales. Westminster, England: William Caxton, . 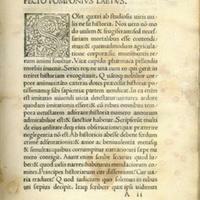 Claudius Ptolemaeus. Cosmographia. XXVII tabulae geographicae, aera incisse in membranis impresse. Rome: Arnold Buckinck, 1478. 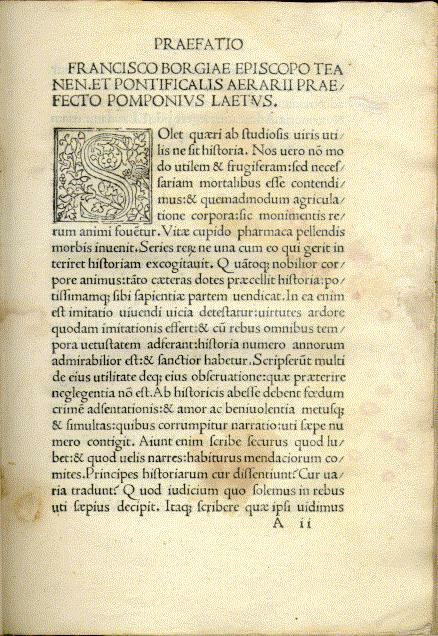 Giulio Pomponio Leto, 1425-1497. 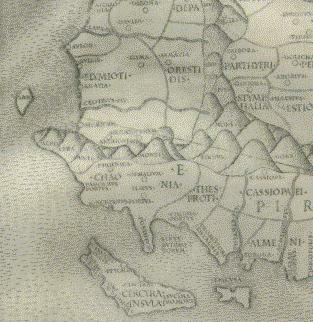 Romanae historiae compendium ab inheritu Gordiani Iunioris vsque ad Iustinium .III. 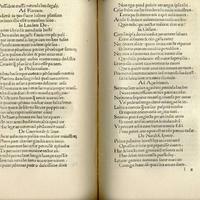 Venice: Bernardinum Venetum de Vitalibus, [12 December 1500].